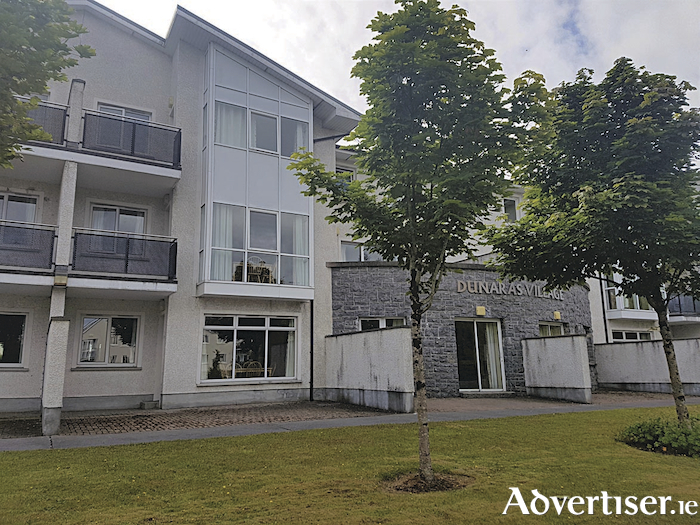 O'Donnellan & Joyce is offering for sale a superb three bedroom ground floor apartment located on Bishop O'Donnell Road, Rahoon, Galway. Dun Aras is a a secure, fully managed, student complex for students of NUIG. No 72 Dun Aras has all that one would require and is ideally located a 10 minute walk from the NUIG campus and within easy reach to a host of shops located at the Westside and Knocknacarra shopping centres. Galway city centre and Salthill Promenade are also within walking distance. The property is also close to a host of sporting and recreational facilities such as the GAA grounds at Pearse Stadium and Westside Park which offers a running track, GAA and soccer pitches, and basketball and tennis courts. There is an excellent bus route to and from Galway city centre with the bus stop located to the front of the development. No 72 Dun Aras is presented in turnkey condition throughout. Accommodation includes an entrance hallway and a large open plan kitchen/dining/lounge room with a large double glazed window overlooking a patio. There are three fine sized bedrooms comprising a double, a single, and a twin. All of the bedrooms have en suite bathrooms, built-in wardrobes, and study desks. This student complex is fully managed and let by Winters Property Management and has a well serviced reception area, on site laundry, on site security, and well maintained communal areas. The development has its own bus service available to and from the university campus for the residents only. This property is ideally suited as a gilt edged residential investment with a guaranteed rental income and an extremely high yield of a net income of circa €16,292 per annum. Viewing is highly recommended and guaranteed not to disappoint. The BER is E1. Asking price is €185,000.